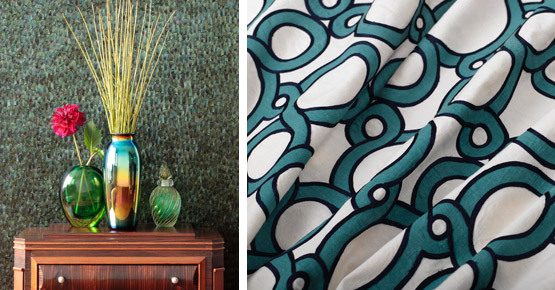 Whether in muted tones or vibrant colors, the fabrics from Designers Market are destined to become a defining element in traditional and contemporary interiors throughout Virginia. Diversity best describes our product selection. We do this by presenting designer fabrics from the oldest fabric houses in the world as well as many newer companies – allowing us to better accommodate the needs of Virginia interior designers. Our wallcoverings often complement our fabrics – or stand on their own, showcasing the décor of a space. Beautiful damasks, bold stripes, colorful florals. As with our fabrics, we continue to update our selection of wallcoverings.